Mads Mikkelsen & Vanessa Hudgens Star in Netflix's New Movie 'Polar' - Watch The Trailer Now! Check out the key art for Netflix’s new original film, Polar. 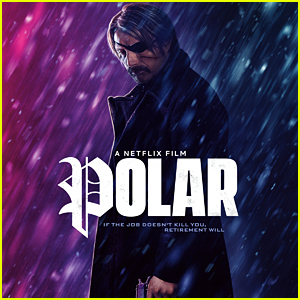 Based on upon the Dark Horse graphic novel “Polar: Came from the Cold” by Victor Santos, the movie centers on the world’s top assassin, Duncan Vizla, aka The Black Kaiser (Mads Mikkelsen), who is settling into retirement when his former employer marks him as a liability to the firm. Against his will, he finds himself back in the game going head to head with an army of younger, faster, ruthless killers who will stop at nothing to have him silenced. Vanessa Hudgens, Katheryn Winnick, Matt Lucas, Ruby O. Fee, Fei Ren, Anthony Grant, Josh Cruddas, Robert Maillet, Julian Richings, Johnny Knoxville and Richard Dreyfuss also star in the movie. Polar will premiere Friday, January 25th on Netflix. Tilda Swinton and Naomi Watts hit the red carpet at the premiere of At Eternity’s Gate during the 2018 Venice Film Festival on Monday (September 3) in Venice, Italy. The film’s star Willem Dafoe walked the carpet with his wife Giada Colagrande. Willem was joined by co-stars Mads Mikkelsen, Mathieu Amalric, and Emmanuelle Seigner, as well as director Julian Schnabel. The new movie follows the final days of artist Vincent Van Gogh. More stars in attendance at the premiere included Chloe Sevigny, Diego Luna, and Taika Waititi. FYI: Tilda is wearing a Schiaparelli Couture dress. Naomi is wearing a Dolce&Gabbana dress. Chloe is wearing a Chanel dress. Julianne Moore sparkles on the red carpet as she arrives at the Chopard Gentleman’s Evening Event on Wednesday night (May 9) at the Hotel Martinez in Cannes, France. The 57-year-old Oscar-winning actress went glam in a sparkling white dress as she was joined at the event by Marion Cotillard – who looked hot in a red and black leopard-print jumpsuit for the event. Joining the ladies at the event were actors Luke Evans, Christoph Waltz, and Mads Mikkelsen. 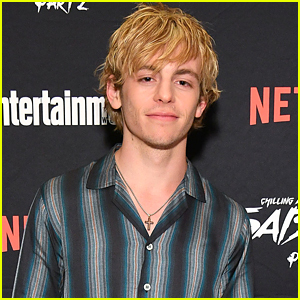 All of the stars are in town this week to attend events and premieres during the 2018 Cannes Film Festival. FYI: Marion is wearing a Koche jumpsuit. Luke is wearing a Bottega Veneta top and trousers. Jessica Chastain, Will Smith & Marion Cotillard Hit Carpet At Cannes 70th Anniversary Gala Dinner! Jessica Chastain is absolutely gorgeous as she hits the carpet in a white suit while attending the 70th Anniversary Gala Dinner held during the 2017 Cannes Film Festival on Tuesday evening (May 23) in Cannes, France. The Oscar-nominated actress was joined at the event by Will Smith, Marion Cotillard, Monica Bellucci, Uma Thurman, Juliette Binoche, Adrien Brody, Isabelle Huppert, Laetitia Casta, Christoph Waltz, Mads Mikkelsen, Anja Rubik and Harvey Weinstein. The Cannes Film Festival celebrated its 70th edition with a formal dinner in honor of the festival’s birthday. The event was preceded by red carpet arrivals at the Palais des Festivals et des Congrès. Rogue One: A Star Wars Story totally ruled the Christmas box office, and now the cast of the hit film are sharing their all-time favorite Star Wars characters and scenes. Digeo Luna, who plays Cassian Andor, has a deep-rooted love for a certain Jedi Knight turned Sith Lord. Watch the video below to find out what his co-stars Alan Tudyk, Ben Mendelsohn, Riz Ahmed, Mads Mikkelsen, and director Gareth Edwards answered (but be warned – it might make you want to fit in a Star Wars movie marathon before your holiday break is over)! Felicity Jones Says It's A 'Very Exciting Time To Be An Actress'! Felicity Jones, who takes the lead in Rogue One: A Star Wars Story, is opening up about being a female actress in this day and age! Pictured: Felicity rocking a gorgeous white gown while attending a photo call for Rogue One: A Star Wars Story with her co-stars Riz Ahmed, Diego Luna, Forest Whitaker, Ben Mendelsohn, Alan Tudyk, Mads Mikkelsen, Donnie Yen and director Gareth Edwards at The Corinthia Hotel in London, England. FYI: Felicity is wearing a Burberry dress. Ben is wearing Baldwin jeans.